The launch of Bahria Town's projects in Karachi changed the overall environment of the real estate sector of the city. All of the projects launched in the city by this largest private developer of the country were received well not only by Karachiites but also the investors from other cities of the country. Some people called it a gamble and ascribed Bahria Town Karachi as a mere scam, but things turned out differently. So what’s new in Bahria Town Karachi? The developer has recently publicized the launch of Midway Commercial, the commercial hub of Bahria Town Karachi. 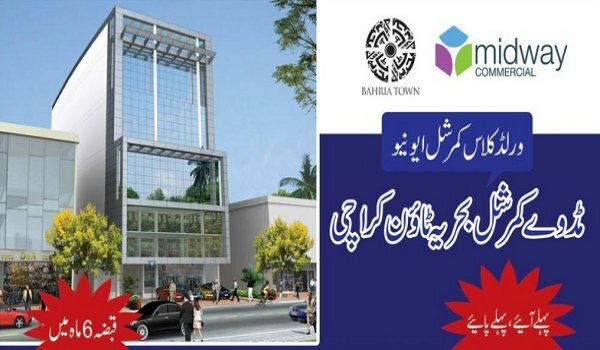 I think this a good opportunity for procuring commercial property in Bahria Town Karachi. We haven’t heard anything yet about the reception of this project by the real estate investors. However, considering the previous footfall of investors in Bahria Town Karachi, we can expect that all of the commercial units in Midway Commercial will be booked soon. We would like to know about your assessment on this project. Please, update us with your point of view on the same in the comments section below.